From the world’s oldest to the world’s busiest rapid transit systems of the world, here are the top ten largest metro systems of the world. The New York City Subway is the largest metro system in the world as it is the metro system with most of the stations. It is in operation 24 hours a day, every day of the year. It is one of the largest and oldest metro system transit of the world. It has 472 stations under its control. Out of 472, 470 stations offer service 24 hours a day. The total length of the NYC subway is 373km. The first demonstration of an underground transit system in New York city was given by an American inventor Alfred Ely Beach in 1869. The construction began in 1900 and the subway was opened to the public in 1904. The stations are located through boroughs of Manhattan, Brooklyn, the Bronx, and Queens. This rapid transit system is owned by the city of New York. A typical subway platform has a length ranging from 480-600 feet. There is a total of 27 train services in the subway system, including three short shuttles. The Paris Metro rapid transit is located in the metropolitan area of Paris, France. The total length of this subway is 214km. It is the symbol of Paris due to its uniform architecture and unique entrances which are influenced by Art Nouveau. There is a total of 302 stations, with 62 stations having transfers between lines. It is the second busiest stations in Europe after Moscow Metro and it is the tenth busiest stations in the world. It is one of the densest metro systems in the world as it covers 245 stations within 86.9km2 of the city- Paris. The first line opened on 19 July 1900 without any ceremony. Like the NYC subway, the Paris metro subway uses the two-way tunnels. The first train leaves the terminus at 5:30 a.m. and the last train arrives at the terminus at 01:15 a.m. The Madrid metro is a rapid transit system operating in the capital city of Spain- Madrid. Its total track length is 293km and stands for the 12th longest rapid system in the world. 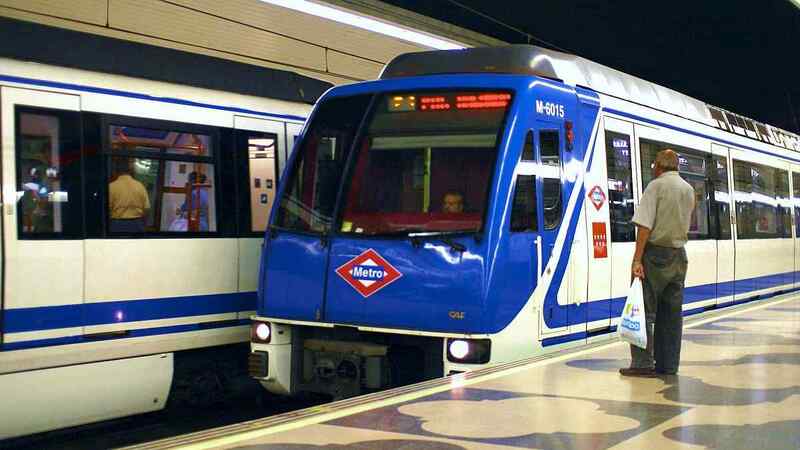 Madrid metro trains use left-hand running on all the lines as traffic in Madrid metro drove on the left until 1924. The Madrid Metro serves every day from 6:00 a.m. to 1:30 a.m. The Madrid subway has the most number of escalators than any other systems of the world i.e. 1,698 escalators. It also has 522 elevators. The Madrid metro went open to the public on 19 October 1919. This metro system has 301 stations. 96% of the subway system is underground. The Seoul subway system is located in the metropolitan capital city of South Korea-Seoul. The construction of the subway started in 1971 and was opened in 1974. It is the most efficient and one of the largest subway systems of the world with a 331.5km track online. It provides wireless and internet services on all the trains and platform screen doors on all the stations except a few. This subway system consists of 22 rapid transit including light metro, commuter rail and people mover lines in northwest South Korea. According to 2017 statistics, the average ridership of the Seoul metro is 1.91 billion. The London Underground rapid transit system also nicknamed as “The Tube” is a metro system in London which serves London, England and some parts of the adjacent counties of Buckinghamshire, Essex and Hertfordshire in the U.K. It has 11 lines which serves 270 stations under London Underground System. The 11 lines collectively control almost 4.8 million passengers in a day. Its total track length is 402km. It was opened 156 years ago on 10th January 1863. In 2016-17, it carried 1.379 billion passengers which makes it the 11th busiest stations in the world. Despite its name, it has only 45% of the underground system. In addition, the underground does not cover most Southern parts of London, with less than 10% of the system South of River Thames. The Shanghai Metro system is a rapid transit metro system in China’s metro city- Shanghai. It has 16 lines and 413 stations under its system. The Shanghai metro system covers 676 kilometres of track length. It began its operation on 28th May 1993. As of 2018, its daily ridership record is 12.50 million rides. The Shanghai metro system stations operate from 5:00 to 6:00 to 22:30 to 23:00 CST (China Standard Time). The busiest station in Shanghai Metro system is the People’s Square Station(Lines 1,2 and 8). It is extremely crowded during its peak hours. For most of the lines, the fare is 3 yuan for journeys under 6km, then 1 yuan for additional 10km. The Beijing Metro System is a rapid metro transit system in the capital city of China- Beijing. It consists of 22 lines including- 20 conventional rapid transit metro lines, 1 maglev line and 1 light rail line. The Beijing metro system is the world’s busiest metro systems with 3.78 billion trips in 2017 and an average of 10.35 million rides per day. The Beijing subway system is the oldest metro system in China. It began its operation in 1969. It is owned by the Beijing city and has 5 operators. It has a total of 391 stations in its system. The total track length is 636.8km. The Tokyo rapid transit system is located in Tokyo, Japan. It is a part of the extensive metro system which consists of the Tokyo Metro and Toei subway in the Greater Tokyo area of Japan. There are 2 primary subway operators in Tokyo: Tokyo Metro which operates 179 stations on 9 lines with 195.1km of a route and Toei subway which operates 99 stations on 4 lines with 109.0km of the route. Its operation began on December 30, 1927. The New Delhi metro system is located in the capital city of India- New Delhi. It is a rapid transit system serving Delhi and its neighbouring cities of Bahadurgarh, Faridabad, Noida, Gurgaon, Ballabhgarh and Ghaziabad. It is the largest and busiest metro system in India. It is the 9th longest metro system and 16th largest by ridership in the world. It has 236 number of stations in its system working on 11 colour coded lines. It began its operation 16 years ago, on 24 December 2002. The Delhi Metro Railway Corporation(DMRC) was certified by the United Nations in 2011 as the first metro system to reduce greenhouse gas emissions by reducing the carbon emissions in the city by 6,30,000 tonnes every year. The Moscow metro is a rapid transit system in Moscow, Russia. It gives its services to Moscow and its neighbouring cities of Krasnogorsk, Reutov, Lyubertsy, and Kotelniki. The operation began 83 years ago on 15 May 1935. The Moscow Metro system has 224 stations and route length of 381km, as of 2018. It is the fifth longest system in the world. The system is mostly underground, with Park Pobedy (at a depth of 84 metres) the deepest station in the world. It is one of the largest metro systems in the world. It is one of the largest metro systems in the world. These are the 10 largest metro systems in the world. Do post your comments.